Being a farm and fence store, as one might imagine the majority of our customers are farmers or involved in agriculture to some degree. Because of this, McArthur Lumber & Post has chosen to be a proud FFA supporter. 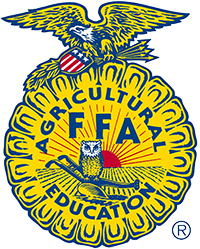 Many members of the FFA go on to be heavily connected with agriculture, livestock and production. We want to recognize these invaluable members of our community, without farmers and agricultural workers, we would surely have to close our doors. These people are the basis of what we do and why we do it. Thank you, to all farmers and future farmers for all you do! To honor Ohio’s farmers and future farmers we now offer the option to donate $1 or more (amount of your choosing) to the Ohio FFA during your in-store purchase. You will be able to write your signature on an FFA emblem that will hang along our customer service desk to proudly symbolize your support for the Ohio FFA. All donations from the year will be given directly to the Ohio FFA in support of their agriculture student activities and programs. We are also working to schedule educational workshops with FFA classes across Ohio to help our future farmers be informed buyers. If you are interested in having a representative come to your school to give a workshop presentation, please call our main line at 800.837.2551! Established in 1950s McArthur Lumber & Post is a company grounded in over 60 years of tradition and quality control. A company that started quite small has now made a name for itself and its products. Rick Jakmas, current president of McArthur Lumber & Post took over the company in the 1990s and has emphasized its focus on producing the longest lasting fence posts available in the wood product market today. McArthur Lumber & Post was instrumental in bringing a new generation of “Green” preservatives to the wood product industry. In fact, in 1994 the U.S. EPA (Environmental Protection Agency), Batelle Institute and McArthur Lumber & Post conducted on site research right here in McArthur, Ohio. This extensive research resulted in the change from use of the common preservative CCA, to its “greener” and safer brother, the preservative ACQ. Over the years McArthur has become a trusted name providing the nations leading horticulturists, landscape architects, park services and retailers with the products they need and quality they deserve. You can see some of our work by simply driving the rural highways of Ohio and West Virginia, we have provided many of the guardrails that will continue keeping roads safe for decades to come. McArthur has helped reconstruct a piece of history, by supplying the wood for the historic wall surrounding Fort Meigs in Perrysburg, Ohio. These are only a few of the projects McArthur Lumber & Post has made possible by supplying the best, and longest lasting wood products. McArthur Lumber & Post takes pride in its products, and stands behind its fence posts, which are warrantied for 30 years of in-ground use. McArthur knows where its timber is cut and by who. Keeping vigil on the moisture levels of on-site timbers by frequent testing, and ensuring every step of its pressure-treatment process is safe is what produces the longest lasting fence posts available. McArthur has had over 6 decades to perfect the pressure-treatment process, a proud and strong part of its history as a company that values giving customers the very best.